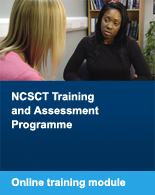 The National Centre for Smoking Cessation and Training (NCSCT) was established to support the delivery of smoking cessation interventions provided by local stop smoking services, support the NHS and Local Authorities to deliver effective evidence-based tobacco control programmes, and deliver training and assessment programmes to stop smoking practitioners and other health care professionals. 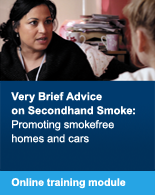 As part of its programme of work, the NCSCT has identified the competences (knowledge and skills) needed to effectively help smokers to stop and to conduct research into behavioural support given to smokers. 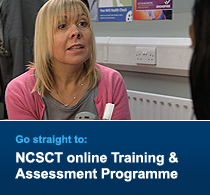 The NCSCT has developed training, assessment and certification programmes based upon the competences and also provides resources for commissioners, managers and practitioners. 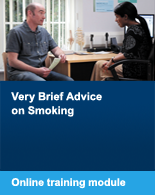 The NCSCT's role is not as a provider of stop smoking support because that would create a conflict of interest with its role in establishing and monitoring standards of delivery. However, it is open to requests from service providers to form part of a bid where its role would be to provide training and an independent audit and evaluation of the service provision. The NCSCT and its staff have a clear policy to not engage in work or conversation with companies who receive funding or backing from organisations related to the tobacco industry. Website development carried out with the support of Exchange Supplies.